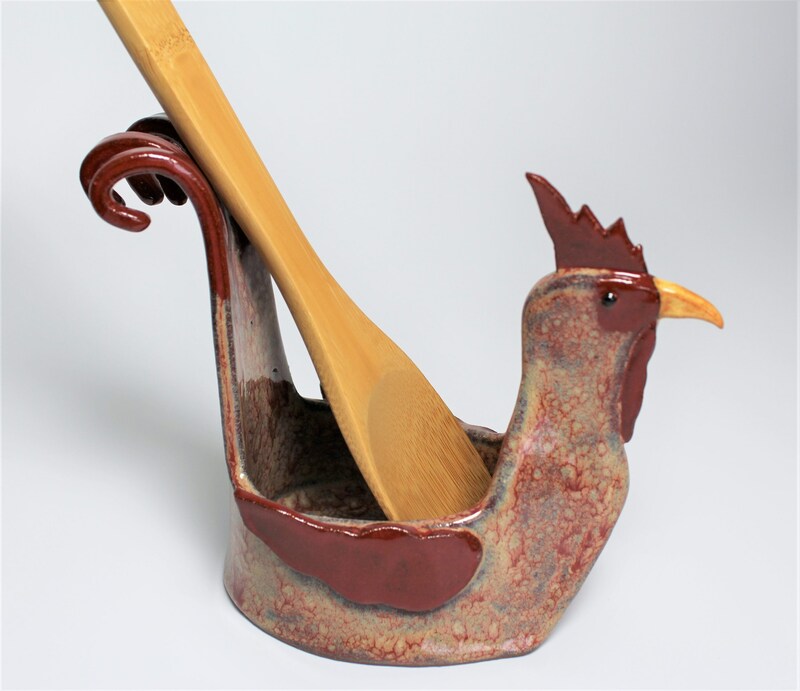 Get ready to Rule the Roost with my handcrafted Rooster Spoon Rest! 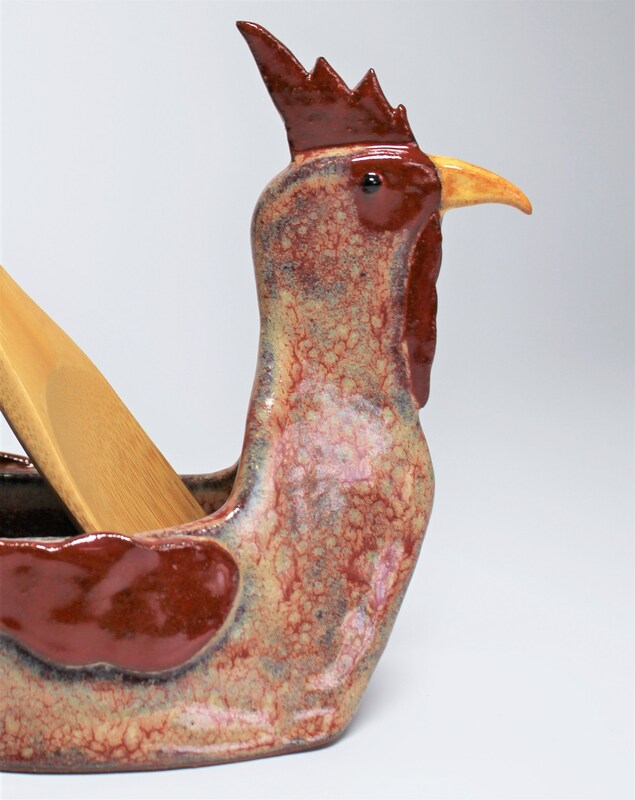 Created from stoneware clay, each feature of the rooster was hand formed and added to the hand built rooster body. 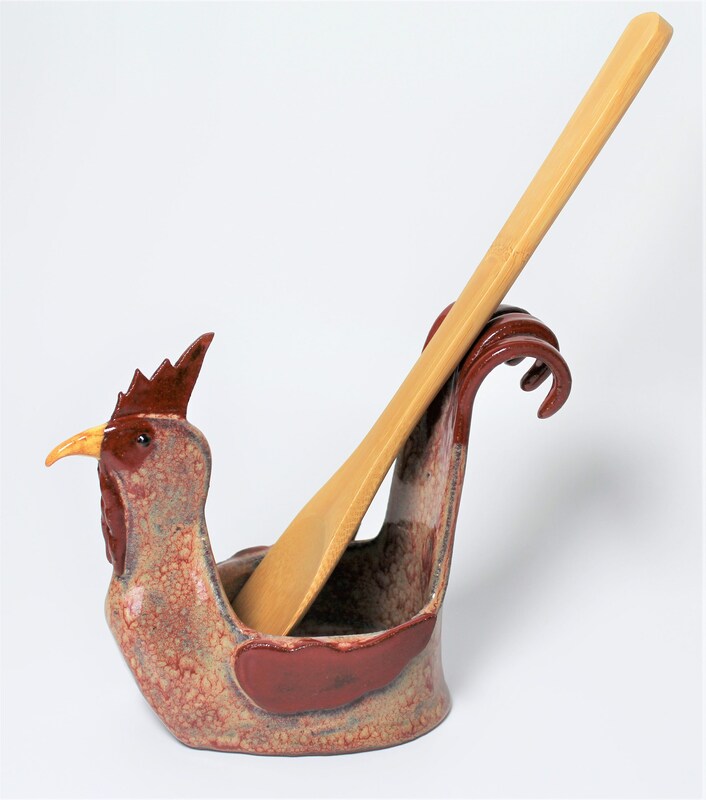 Great addition to any rooster collection or Farmhouse Decor. 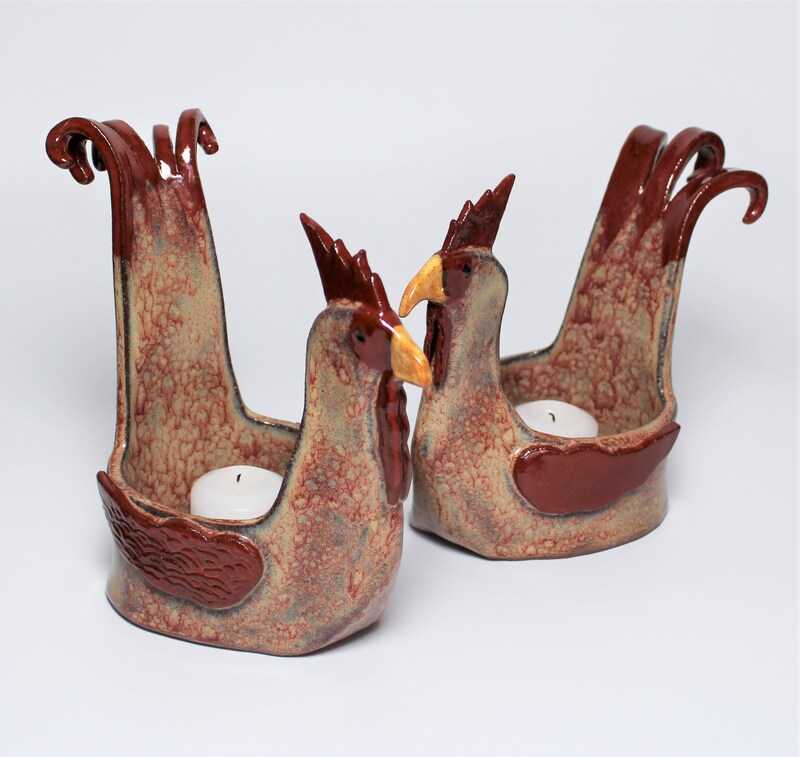 This rooster can also be used as a votive candle holder! Or, keep him on your dresser to hold your jewelry. He's happy no matter what room you put him in! 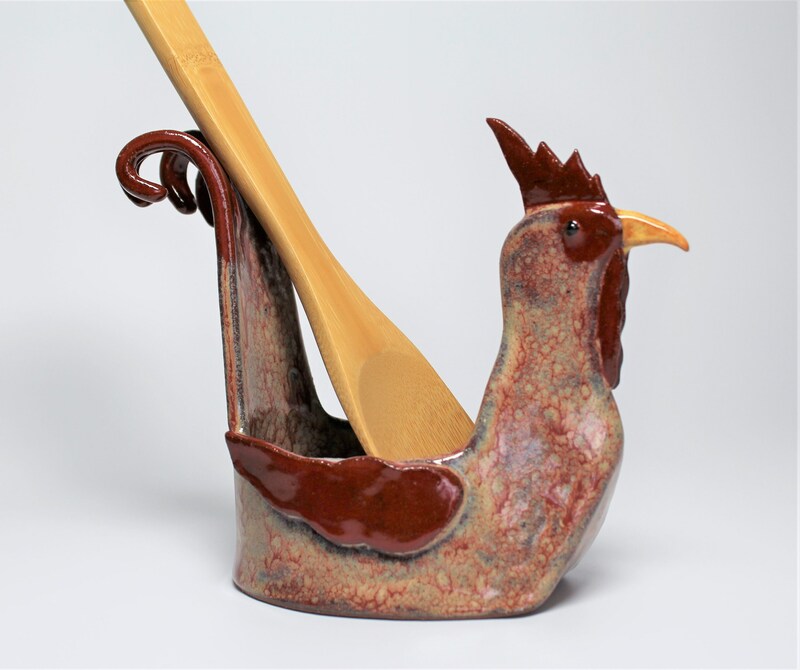 These rooster spoon rests measure approximately 6" in height, 8" in length and 3.5" wide. Perfect size to sit on your stove. All of my pottery pieces make wonderful gifts for birthdays, weddings, anniversaries and holiday gift giving. 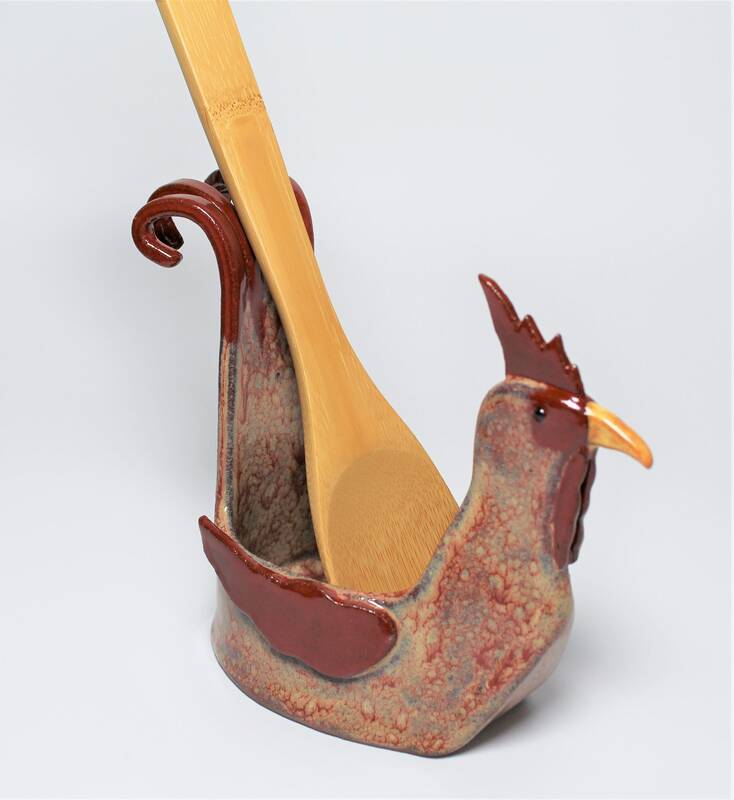 I create decorative and functional pottery in a variety of price ranges. This was a very unique item. It shipped promptly. I will definitely check out Lisa’s Website in the future.